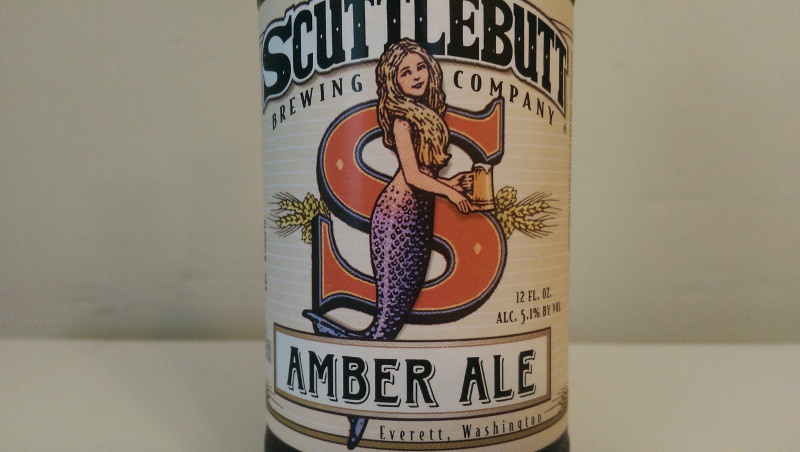 Beer Profile: Scuttlebutt Amber Ale – Food. Beer. Stuff. So what’s the scuttlebutt on this amber ale? Today I am lucky enough to Beer Profile yet another brewery new to me; Scuttlebutt Brewing Company specifically their Amber Ale. Scuttlebutt brewing was founded in 1996 in an effort to get the founder out of his wife’s kitchen with all of his homebrews. Since then, Scuttlebutt has grown considerably, brewing 186,000 gallons of beer in the year 2011. Scuttlebutt Amber Ale comes packaged in a shorter and wider brown bottle than the norm and pours a gorgeous, semi-transparent deep bronze. 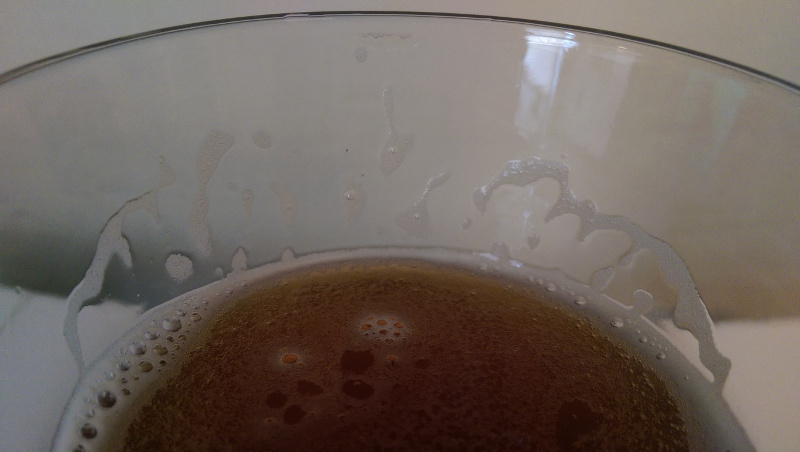 Little carbonation makes the common two finger head an unlikely outcome and I find by the time I get my camera and glass positioned it has nearly dissipated entirely into a thin collar. My nose finds a hint of alcohol mixed with spice, bread and just a bit of malty sweetness. 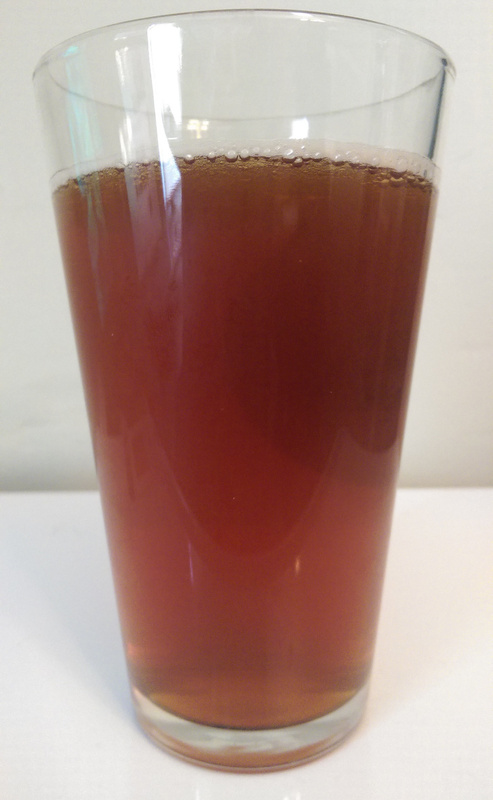 This amber ale owes its appearance to the caramel malts it was brewed with. I take a small sip and find this amber ale matches quite well with my noses expectations, delivering a spicy yet sweet flavor. I am picking something up on the back-end but am having just a bit of trouble pinning it down. I decide to let this ale warm up just a bit more before proceeding further. I give it about a half hour to warm up and I now find the sweetness of the caramel malts have overtaken the spiciness I first encountered. The balance seems to improve a bit as I can pick up distinctly on an herbal almost flowery taste with the finish. The sweetness remains but is much more subtle than before and the spice I tasted on my first sip is now just a pleasant aroma. My lacing photo finds a present but minimal stickiness. As I finish my glass, the small foam collar from before has disappeared entirely and I find the spiciness from the first sip has returned for the last. This medium bodied ale has a complex character, releasing different tastes and scents while I drink. The one thing that doesn’t change throughout is the sweetness. For an amber ale, this is to be expected. I quite enjoyed this beer and I am happy I gave it a little extra time to warm up. 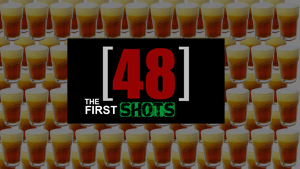 If this beer is served too cold the temperature will really limit ones ability to enjoy it which may explain some of the so so reviews it was given over at Beer Advocate. I find this to be a very drinkable ale but perhaps just a bit too sweet for an all-nighter. Would make a great edition to a Beer Flight. Have you tried Scuttlebutt Amber Ale? What are your thoughts? Lets talk about it in the comments below.